CSS3 uses box-shadow to place a nice drop shadow to your containers such as div. Though, the main enemy of web designers gives them problems by not supporting it -- Yes! I'm talking about Internet Explorer. Apparently, lower versions of IE starting from 8 does not support this attribute. Though we can say that with this era, only few people are using Internet Explorer 8 and below, we can't be sure that no one would try to access our site on these browser versions. 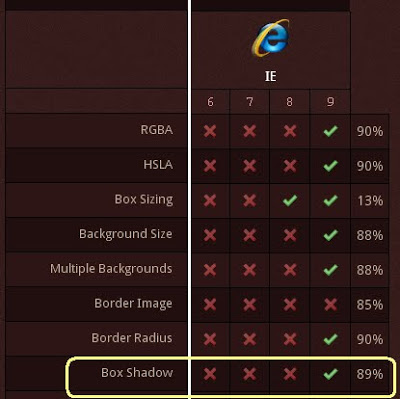 Since CSS3's box-shadow is already supported on major browsers such as Chrome, Firefox and Safari. Most sites already applied this property on their code's styles. The code above should only work on Firefox, chrome and safari. Internet Explorer 9 has been announced to support this property too. 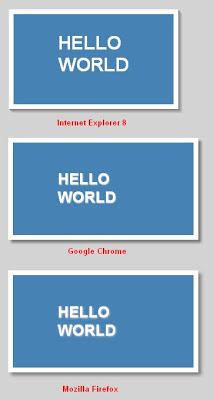 How about lower version of IE? Direction Sets the direction that the filter's effect is offset. Enabled Sets or retrieves a value that indicates whether the filter is enabled. Strength Sets the distance that a filter effect extends. Thanks for this tips man ! !